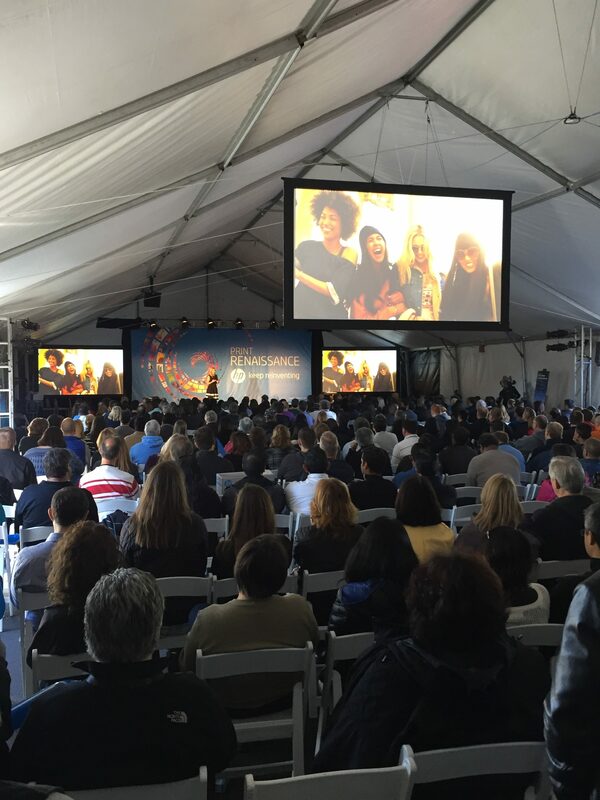 Solana Productions recently partnered with a Fortune 50 company on a very large corporate event video production. They faced a difficult problem — how to get all of their employees (500+) in the same room with the executive team. There wasn’t a space on their campus that would accommodate such a large crowd so they started looking at alternatives. 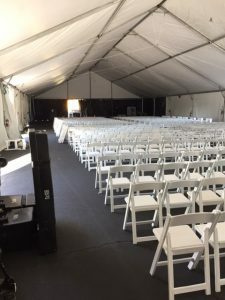 These included moving to off-site locations which would have required the entire workforce to leave, and using a combination indoor/outdoor setup utilizing small tents. 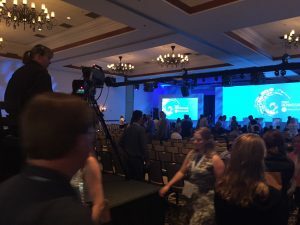 We were providing all the corporate video production elements for the meeting — video, projection, lighting, audio and power. During a conference call with several managers, I listened while they discussed using two 40’x80′ tents side by side, creating an 80’x80′ space. As the conversation progressed, I began thinking about the visual experience for the audience. This space would have poles running down the center where the two tents joined. It would also leak at that joint if it happened to be a rainy day, and this has been a very wet winter in California. I raised these issues during the call and discovered that with all the focus on the meeting’s content, the aesthetics of the two-tent option had not really been considered. And the vendor providing those tents had not explained what the attendee experience would be like. 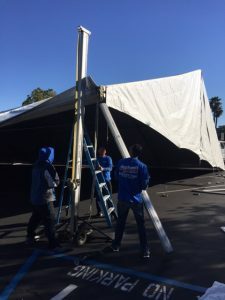 Once I described that the space they would be creating would have low ceilings and be obstructed with poles, the managers agreed to give me the go-ahead to pursue a better tent option. 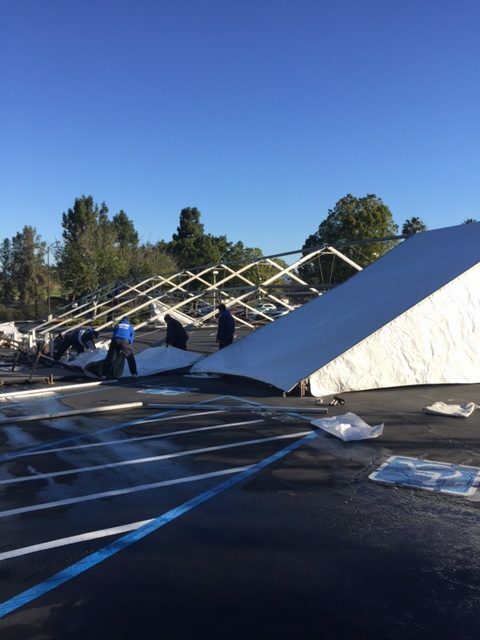 Although we’re not tent experts by trade, we are in the business of finding solutions for our clients. And as a San Diego video production company that’s handled dozens of high-profile shoots over the years, we knew there had to be a better alternative that was also cost-effective. 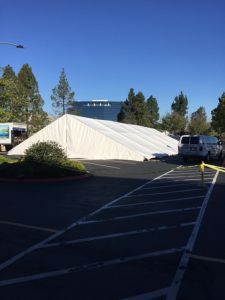 So we spent time investigating the options and came up with the idea of erecting one 50′ X 120′ tent that would provide a more pleasing interior look for all 500 employees and executives. The large structure we decided on presented some very difficult lighting and projection challenges but the end result was a much-improved audience experience. The tent created a fun, festive atmosphere, in spite of gusty winds, and nobody had to watch from an overflow room or suffer through obstructed views. Our solution was declared an overall success and truly helped our client drive home the idea of “bringing everyone into the tent.” It’s an option we highly recommend considering for your next large-scale, outdoor corporate event video production. 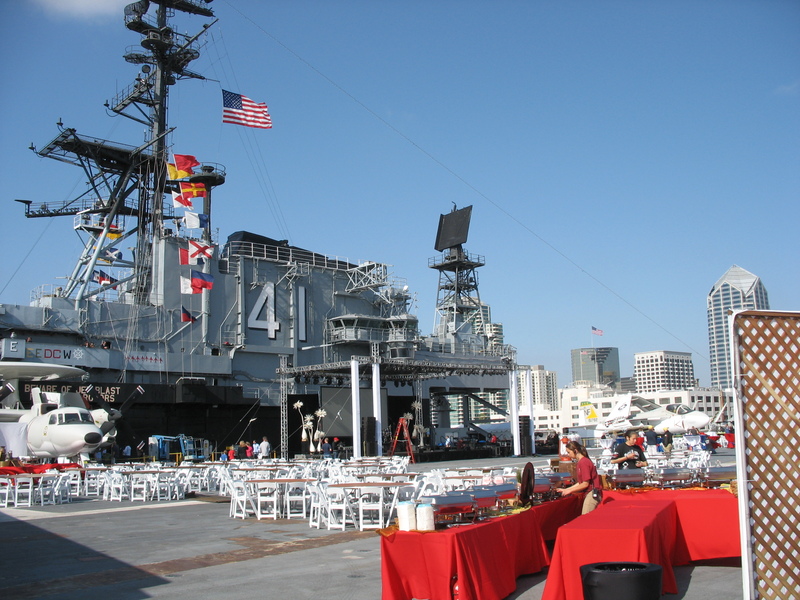 This corporate video took Solana Productions aboard the USS Midway aircraft carrier. The event was designed to reward sales associates and involved a formal dinner and private concert with the Beach Boys. 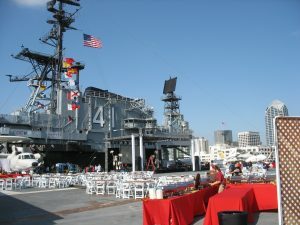 The Midway is permanently docked in San Diego harbor and has become a major historical monument and tourist attraction. Commissioned just at the end of WWII, the Midway saw action in Vietnam. Helicopters from the Midway rescued thousands of people from the US Embassy during the fall of Saigon. Today the deck displays planes from that time period. 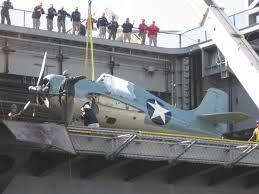 Loading production equipment onto the flight deck of a carrier for a corporate video may seem daunting at first. But using the ship’s aircraft elevators simplified things. Our Solana Productions team of 15 loaded 35 cases and were up to the deck in seconds. The event hosted several hundred guests and was a major success for our client. The flight deck is frequently used for corporate video events like this. 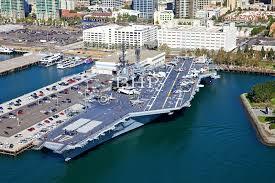 You can find out more information at USS Midway Museum. During a visit you’ll likely encounter volunteer veterans who are very good at bringing to life the exciting past of this floating museum. When I first heard that our Solana Productions video production crew would be traveling to Sumatra it sounded like just another another video adventure. This would be our 5th trip to Asia although this time it wouldn’t include emerald dealers, sumo wrestlers or gun toting Thai border guards. 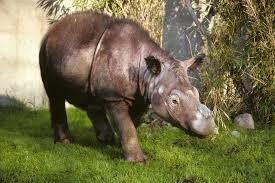 I was happy to hear that the Asian rhino was smaller and more docile than the African version. We had a layover in Singapore and stocked up on beef jerky and power bars which became our food pyramid for the next couple of weeks. The short flight to Padang offered a preview of the misty mountains we’d be driving through. The rhino had been captured and was in the process of being domesticated, or penned up in preparation for the drive down the length of the island. It involved long days in a convoy winding along slow moving rivers, stopping to feed and bathe the rhino and eating in the Indonesian version of truck stops. This was usually a small building filled with large tables. There was a central fire with a large bowl of soup or stew from which everyone was served. This seemed OK until we saw the partially eaten bowls dumped back into the vat. At every stop children flocked to the trucks and were alternately captivated by the rhino and watching video playback of themselves from our camera. Once a warm rainstorm interrupted prompting joyous dancing from the kids and smiles from adults huddled under ponchos. Central Sumatra seemed stuck in an age of simple village life and the rare appearance of foreigners was an event. But our reason for being there was evidence of a more modern problem. Recent immigrants from elsewhere in Indonesia were burning the rain forest and planting rice. The diminishing habitat signaled inevitable extinction for large mammals like the rhino. At the tip of Sumatra our video production crew captured the loading of the rhino onto a ferry to cross the Sundra Strait to Jakarta. From there it was a 26 hour plane ride back to San Diego where our rhino met her future husband. This was one of many attempts by organizations around the world to save the species by establishing breeding pairs. Unfortunately this one failed. The female, Barakas, died leaving about 100 left in the world. This San Diego video production was a round the world adventure that involved 25,000 miles of air travel. Corporate training videos were produced for HP at their event, titled Print Renaissance, which utilized video production services provided by Solana Productions, Inc.
Events at the Omni Carlsbad Resort included meetings, dinners and displays of the exciting new technology on its way from HP. Through numerous “on the fly” interviews attendees from all over the world provided their insights and opinions about the company’s new initiative. Uses for new products like the amazing Sprocket Photo Printer were demonstrated with mockups of college dorm rooms, modern living spaces and security monitoring stations. HP Inc. is an American technology company, created on November 1, 2015 as one of two successors of Hewlett-Packard, the other being Hewlett Packard Enterprise. 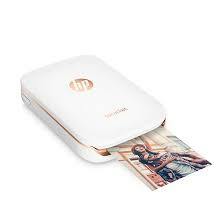 It develops and provides hardware, such as personal computers and printers. It is the legal successor of the old Hewlett-Packard. The split was structured so that Hewlett-Packard changed its name to HP Inc. and spun off Hewlett Packard Enterprise as a new publicly traded company. HP Inc. retains Hewlett-Packard’s stock price history, as well as its ticker symbol of HPQ (whereas Hewlett Packard Enterprise uses a new ticker, HPE. 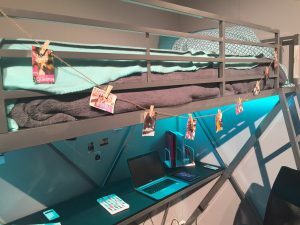 HP is now focusing on consumers who improve their computers frequently and spend more money on games. They released the gamer-centric Omen line of laptops and desktops targeted at mid-range consumers with an Omen X line to debut later in 2016. HP Inc. is the larger successor of Hewlett-Packard in terms of revenue. It recorded US$57.3 billion in revenue in 2014, compared with Hewlett Packard Enterprise’s US$53 billion. 50,000 employees will work at HP Inc., and Dion Weisler has been announced as CEO of the new company created as a result of the Hewlett-Packard Co. separation. Solana Productions, Inc. has been providing video production services for HP for over 10 years. For more information about corporate training videos please contact Solana Productions! ResMed, with more than 4,000 employees and a presence in more than 100 countries, selected Solana Productions for its recent medical video production. This shoot captured managers and employees demonstrating effective communication through role playing. 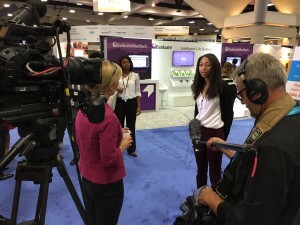 With their world-wide reach, ResMed needed videos in several languages. 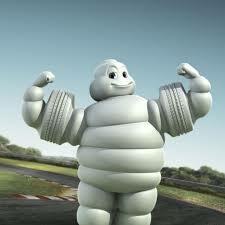 Solana Productions translated and subtitled the videos into Chinese, French and German. 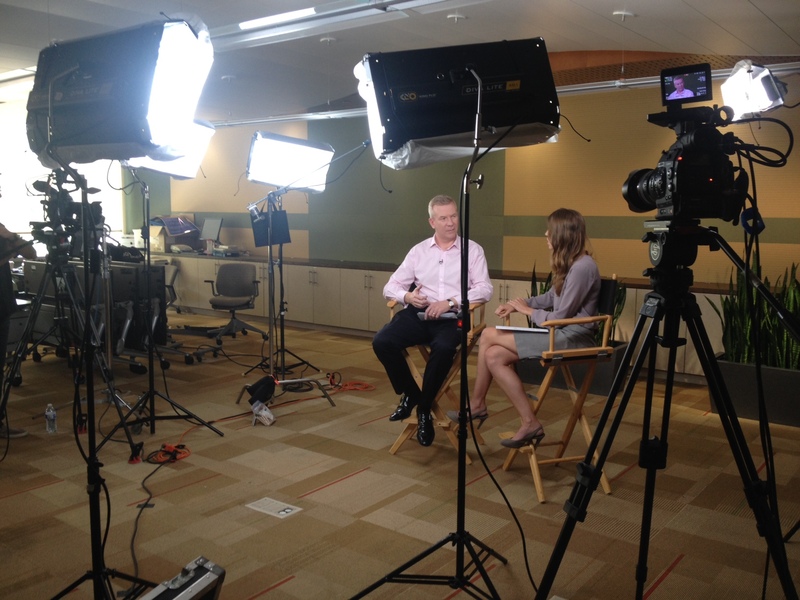 The medical video production involved three digital cinema cameras, extensive lighting, makeup and was shot at ResMed’s headquarters in San Diego. It’s tax time right now, and while that may bring visions of dread for many, it’s cause for celebration for our corporate video camera crew. That’s because we just wrapped a successful and important San Diego corporate video for a client that provides key technical support for Intuit’s TurboTax software package. TurboTax, developed in the 80s by Chipsoft of San Diego and acquired by Intuit Corporation in 1993, is one of the most popular income tax preparation software packages in the country. The Intuit Consumer Tax Group is still based in San Diego, and our shoot took place at their beautiful campus in the Carmel Valley area. Our San Diego video crew skillfully lit and shot a testimonial interview with one of Intuit’s top engineers, then scoured the campus to record scenic establishing shots. A “taxing” day for sure, but that’s just the way we like it! Need a corporate video camera crew? Contact Solana Productions! Our Los Angeles corporate video production found out what happens when you mix 50 teen drivers with emergency road conditions? 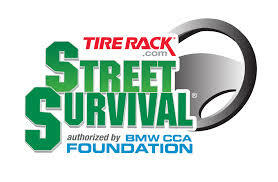 Our video crews found out recently while shooting Street Survival for Tire Rack. The nationwide course, co-sponsored by Michelin, lets teens experience a professional driving course created on the Fontana Speedway parking lot. This Los Angeles video production involved a crew of three getting bounced around in cars, dodging careening and skidding vehicles and operating a QuadCopter overhead to capture aerial shots of the action. Shooting handheld inside a car is generally not a problem. But it proved to be a bit challenging on this shoot. For the morning wake-up, as the instructors called it, teens in their own cars, accompanied by a coach, were told to stomp on the gas. As the car approached 60 mph the instructor would yell “BRAKE!” The panic stop taught students what to expect from their car and themselves before they hit a real freeway traffic jam. The vast lot was divided into segments to test emergency stopping, swerving and spinout conditions. To add to the difficulty, water trucks were on hand to douse the pavement and make driving conditions even more challenging. Several times throughout the day we rigged GoPro cameras to the cars to capture the interaction of the teen and coach. We also recorded POV shots around the entire course by mounting a Go-Pro camera to the hood. The course included a circle of cones that drivers would enter and drive around as fast as possible. This kind of extreme driving showed students another example of how cars handle under stress. It also demonstrated how quickly a camera operator can move when two tons of skidding car is headed his way. A final event of the day introduced teens to a Michelin 18 wheeler. Event organizers parked several cars around the truck to demonstrate blind spots. Then the kids took turns sitting in the driver’s seat of the big rig. From that vantage point it was easy for them to see just how limited a view the driver has. Corporate Video Production Company Chases Talking Tom! 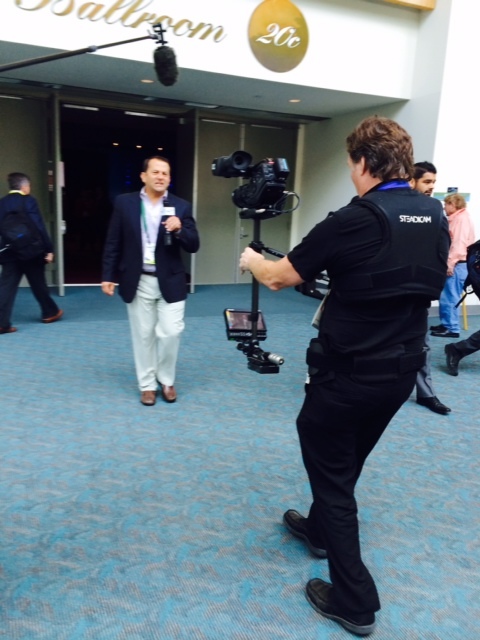 Solana Productions, a corporate video production company, covered an advertising convention in Orange County. Talk about clawing your way to the top! Talking Tom, the adorable IPhone app/YouTube sensation, who’s become an entertainment phenomenon with more than 400 million user downloads and 100 million monthly active users, was the center of our latest San Diego video production. Tom and the other Talking Friends, created by app developer Outfit7, were “the talk” of the Association of National Advertisers Conference in Dana Point. Outfit7 Limited is one of the fastest-growing multinational family entertainment companies on the planet, best known for its global phenomenon Talking Tom, which grew from an instant app success into a fully-fledged media franchise in the years since its launch. 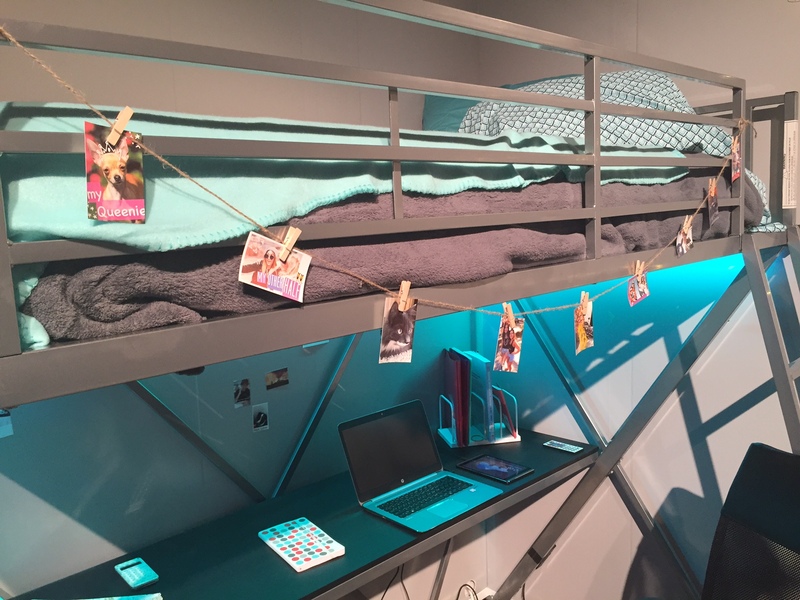 Founded in 2009 by entrepreneurs on a mission to bring fun and entertainment to all, Outfit7’s highly successful portfolio now includes free mobile apps and games, a CGI animated series and web shorts, a global licensing and merchandising program, and chart-topping YouTube videos. 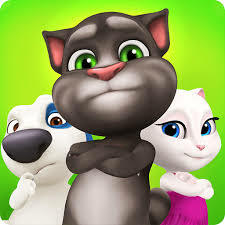 Talking Tom and Friends franchise is known and loved in 230 territories around the world. 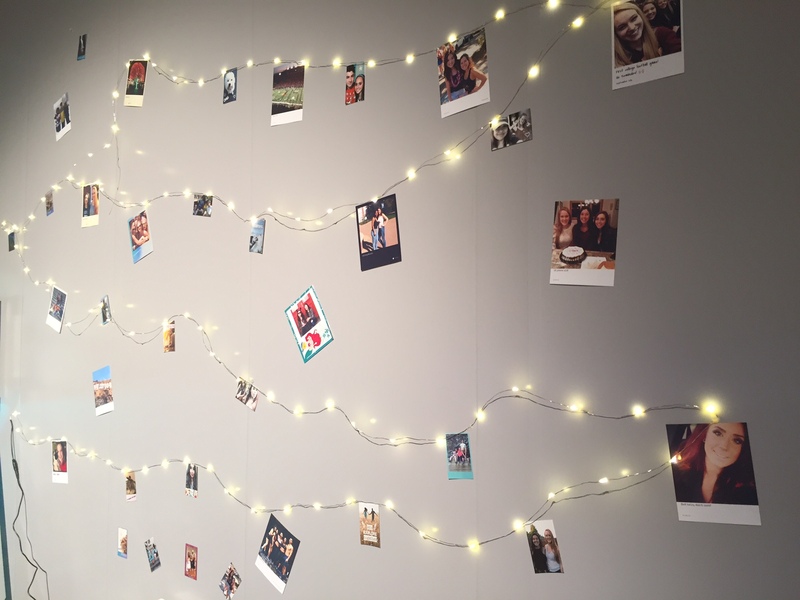 It’s the reason why our apps have won awards and been downloaded over 5 billion times. That’s where our San Diego video crew documented the story of how the clever voice-mimic app has become a beloved mobile consumer brand. Talking Tom and the Talking Friends were also recently featured on ABC’s “Modern Family,” and have new app tie-ins with “Madagascar 3.” Haven’t talked with Talking Tom yet? He’s a free app for Iphones — and you can click on the video screen to enjoy his version of Shakira’s “Waka Waka.” Meow. Please consider Solana your best choice for a corporate video production company.